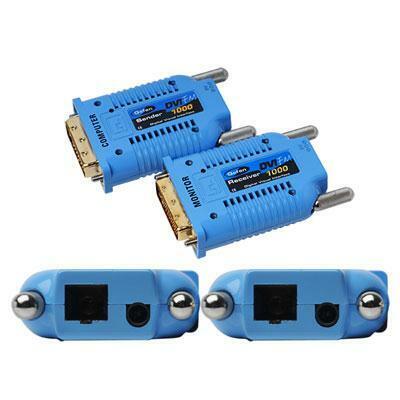 The DVI FM1000 Extender extends your DVI display up to 3280 feet (1km) away from your video source with only two tiny transceivers required using a 100% optical SC fiber solution with a single strand of fiber optic cable. Automatic EDID Programming enables quick and correct synchronization of the video source to the display without any manual configuration needed. It's a great way to extend DVI video easily and unobtrusively.